The global cardboard box packaging market has been growing rapidly due to its wide application in product packaging. The global cardboard box packaging market was $64.4 billion in 2017 and is expected to reach $82.4 billion in 2023. The exponential growth of the e-commerce platforms is another major driver for the cardboard box packaging industry. The global food and beverage industry are the largest consumers of cardboard box packaging are expected to further increase its consumption for packaging. With features like being lightweight, durable, and eco-friendly the cardboard box packaging is the most widely used for packaging of products globally. Cardboard packaging is very flexible. The cardboard boxes can be made in different shapes and sizes and are ideal for packaging any type of product. The cardboard boxes are highly adaptable and they can be cut and glued together in any dimension for secure packaging of the product. These boxes can be designed in shapes for packaging or otherwise difficult to package products. The flexibility of the cardboard boxes is a major factor for its popularity and widespread use in the packaging industry across various categories of products. It gives the flexibility to the manufacturers to completely and securely package the products, thereby minimizing damage while product shipping. Cardboard boxes are very light and are the ideal packaging solutions in situations where the weight of the container is also considered for transportation of products over long distances. These boxes do not weigh much and do not add to the existing weight of the shipment. This means that more quantity of the products can be shipped in a consignment using the same fuel and energy. This reduces the distribution cost of the products also. The lightweight nature of the boxes also makes it easier to load and unload the boxes into the container. Packaging using cardboard boxes has an advantage of secure packaging. The products can be enveloped completely and packaged securely in a cardboard box. These boxes are designed to provide complete protection to the packaged goods. Due to the secure packaging, the products will be protected from impacts, abrasions, wear and tear etc. during transit. 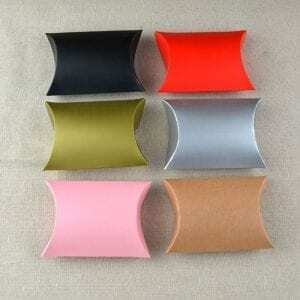 Another layer of cushioning can be added by using fillers, bubble wraps etc. which will further enhance the protective capabilities of the cardboard boxes and provide maximum safety to the packaged products. Cardboard boxes are one of the most cost-effective packaging alternatives. They cost much lesser compared to packaging boxes made from other materials like plastics, metal etc. Manufacturing these boxes in bulk is very cheap and they, therefore, reduce the cost of packaging of the product. They are also cost-effective as they reduce the overall cost of distribution of the product. They are lightweight and easily stackable. This means that a greater volume of the products can be shipped in the same container using the same amount of fuel and energy. Use of cardboard boxes for packaging and shipping reduces the overall cost and contributes to increased profitability. In addition to a host of benefits provided by the cardboard boxes, they are also eco-friendly. This is an important feature which adds to their popularity and application in the packaging industry. Most of the cardboard boxes are completely recyclable and do not add to the packaging waste which is already becoming difficult to manage. These boxes are easy to recycle and they can also be folded and reused later for different purposes like storage. As the customers are becoming more conscious of green packaging and the government regulations are moving towards the same, the use of cardboard boxes provide an ideal and cost-effective option for eco-friendly packaging. Selecting a good cardboard box manufacturer in China is important for clients to ensure they do not face issues later. 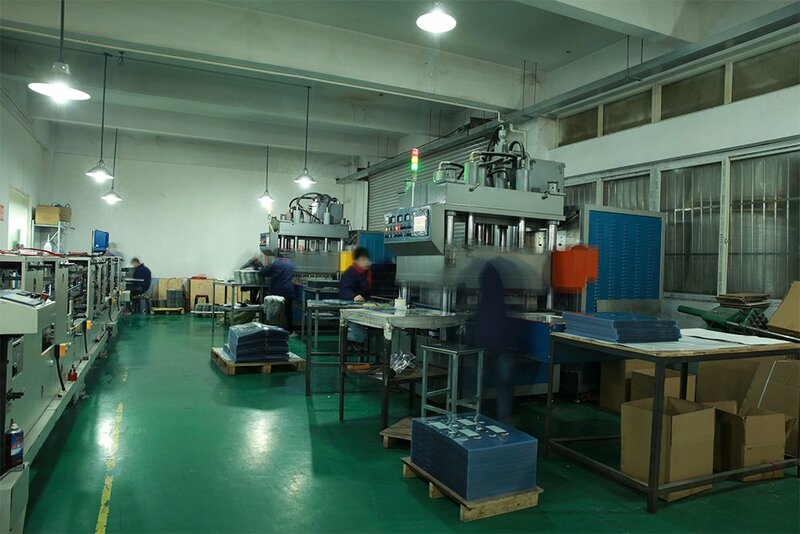 Factory size is an important consideration for most clients while selecting a cardboard box manufacturer in China. Clients generally prefer large-sized manufacturers as they have better production facilities and are financially stable. However, selecting a larger manufacturer may not always be a prudent choice. Large manufacturers will have greater overhead cost and the same will be passed on their prices. They may also have a large order book and thus are less likely to entertain customers with smaller order quantities. It is therefore recommended to look out for smaller and medium-sized manufacturers as they will pay greater attention to meeting customer’s specific requirements. The clients should collect the details of the manufacturer’s existing and previous clients. They can contact those clients to understand the nature of services provided by the manufacturers to them. The client’s feedback will help to establish and verify the credentials of the manufacturers. Satisfied and happy clients are a direct indicator of the good manufacturer. Generally, the manufacturers will readily provide the contact details of their clients. If any manufacturer is reluctant or unwilling to share the details of their clients then it may mean that they do not have any satisfied clients or they are new to the business. Usually, such manufacturers should be avoided. The clients should check the previous work and samples of the cardboard boxes provided by the manufacturers to different clients. checking the previous works and samples will enable the clients to assess the quality of the products manufactured and determine the suitability of the particular manufacturer and their products for them. The production capabilities of the manufacturers should be carefully evaluated before making a decision to award the work to them. 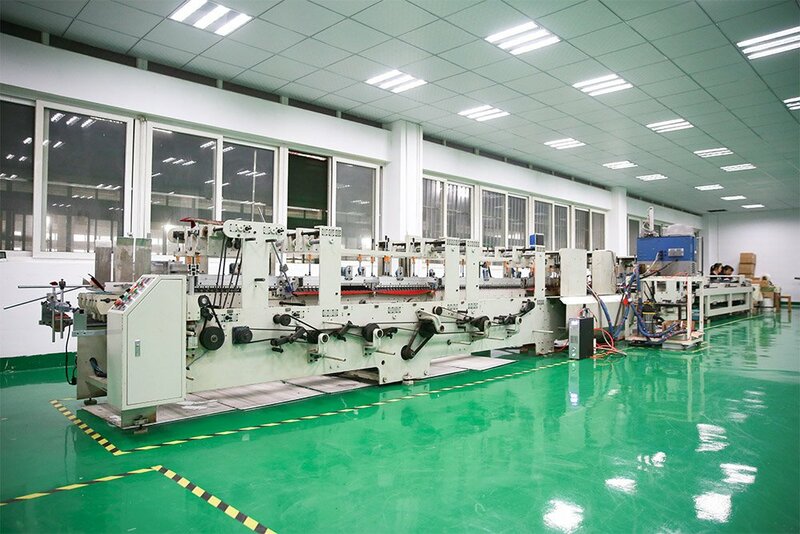 Production capabilities are one of the most important determinants of assessing a cardboard box manufacturer in China. Production capabilities should be evaluated based on the machinery and equipment available for production. The machinery should be in conformity with the latest industry trends and should be able to manufacture bulk quantities in lesser time. 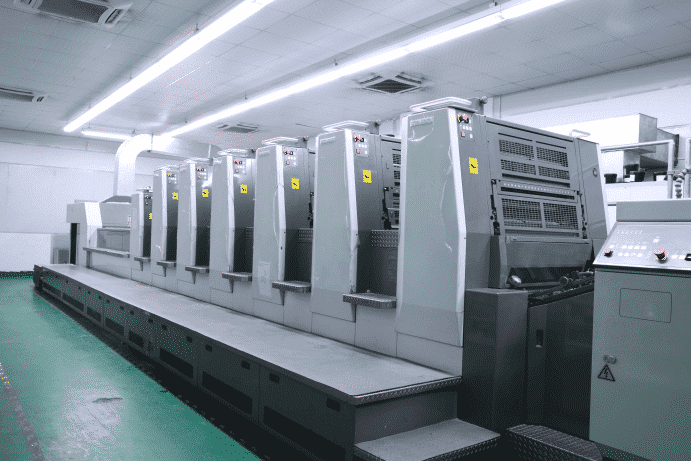 Manufacturers using the latest and modern manufacturing machinery and systems are more likely to meet the requirements and adhere to the timelines of the clients and should be preferred. Product quality should be the most important consideration for clients when carrying out due diligence of cardboard box manufacturers in China. Clients often are driven by cost for selecting manufacturers which are not recommended as the lower cost does not necessarily mean better quality. The clients should verify the quality of the products carefully to ensure it matches with their specifications. Different elements of quality like the quality raw materials used, manufacturing capabilities, quality, and experience of the workforce, defect ratio, the time taken for manufacturing, lead time etc. should be evaluated by the clients to assess the suitability of the manufacturers. Asian Leading Product Packaging Manufacturer (ALPPM) is a key player in the manufacturing of packaging materials in China. We position ourselves as a one-stop solution for meeting the varied packaging needs of the customers. We manufacture the best quality cardboard boxes for effective product packaging. ALPPM has remained a leader in this highly competitive industry. We are valued highly by our clients and customers and have earned a name for ourselves. ALPPM has access to the best in the class manufacturing infrastructure and equipment and highly advanced production capabilities. We are committed to meeting the requirements of the customers. We understand that the requirements of the customers can be urgent and they may need large quantities of cardboard boxes at a very short notice period. We respect the requirements of our esteemed customers and strive towards meeting the same in the tightest of deadlines. We are not constrained by limitations of manufacturing capabilities and availability of highly skilled manpower. Due to the availability of both, we can manufacture cardboard boxes in bulk and supply to the customers in lesser time. 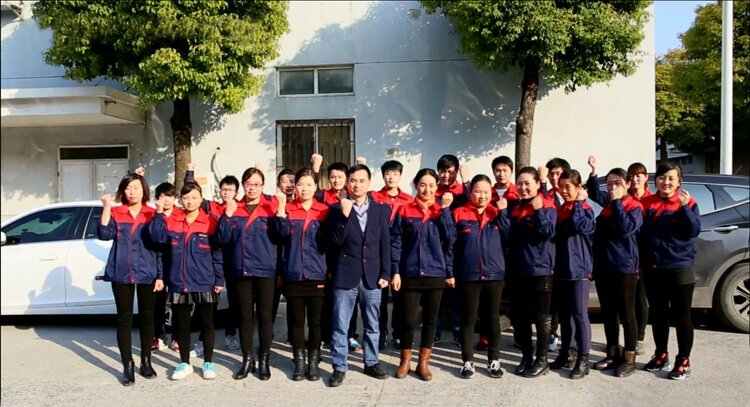 Due to the availability of abundant machinery and skilled manpower, we can increase the production levels anytime to meet the bulk production requirement of the customers. Our customers value us for our promptness and commitment towards meeting the deadlines. The cardboard boxes manufactured by us are not only of the highest quality but also offer the most competitive rates among the existing competition. The workforce available with ALPMM is highly qualified and trained in this industry, but the wages are lower compared to the western countries. This leads to manufacturing at low cost without compromising with the quality at all. This flexibility and the perfect combination of high-quality human resources at competitive wages puts us in a sweet spot in the market and helps us to stay ahead of the competition. Since customers are at the core of our business model, we pass on the low cost of manufacturing to them, thereby providing them the best quality cardboard boxes at very reasonable rates. Our cost-effectiveness is a key driver in ensuring our success in the industry for a sustained time period. Our workforce is one of our strongest assets which differentiates us from the competition and helps us to stay ahead. We have highly qualified, experienced, and well-trained staff which adds to the efficiency of our production processes. We have an ideal combination of state-of-the-art machinery and production equipment and a highly competitive workforce which works to our advantage. The workforce at ALPPM has years of experience in manufacturing and delivering of high-quality cardboard boxes meeting the exact specifications of the customers. We have skilled workforce availability in abundance which provides us the flexibility to scale up the production levels anytime based on the requirements of the customers on a very short notice period. We have the best manufacturing capabilities in the industry. We use the state-of-the-art machinery and manufacturing infrastructure which significantly enhances our overall manufacturing capabilities. Due to the use of world-class manufacturing infrastructure, we can ensure bulk production in shorter notice periods. As the products are manufactured quicker, this cuts down the shipping time and thereby provides greater efficiency to our valued clients. The use of highly advanced manufacturing infrastructure provides us with a competitive edge over our competitors in this highly competitive market. modern machinery and production processes enable us to improve the quality of our products and also the overall efficiency of the manufacturing process. ALPPM offers the best quality products to its customers. We understand that the quality of the products is perhaps the most important factor which customers verify before making the purchase. We manufacture different types of cardboard boxes which meet the varied requirements of the customers. The use of best quality raw materials and highly advanced production processes ensure that the quality is never compromised upon. The customers can be assured of getting delivered the best quality products while purchasing from us. Our manufactured cardboard boxes are subject to rigorous quality inspections and checks, which means that the final product is of the highest possible quality. ALPPM has been very popular among the customers for its quality product offerings designed to meet the specific needs of the customers. We value ourselves with our dedicated after sales service. We are a highly customer-centric company and put the customers as the key stakeholders of our business. ALPPM is not only focused on selling its products, rather we strive to create an unmatched after sales service to our valued customers. We have a dedicated after-sales service team for providing the best possible support to the customers in case they face any issues with their purchase. Our customer executives are well qualified and trained to handle the grievances of the customers and provide them with a prompt and effective resolution of the issues. The customer executives are well versed with English and communicate fluently in written and oral English. Due to our robust after sales service, the customers prefer ALPPM which is reflected in our strong and ever-growing customer base. 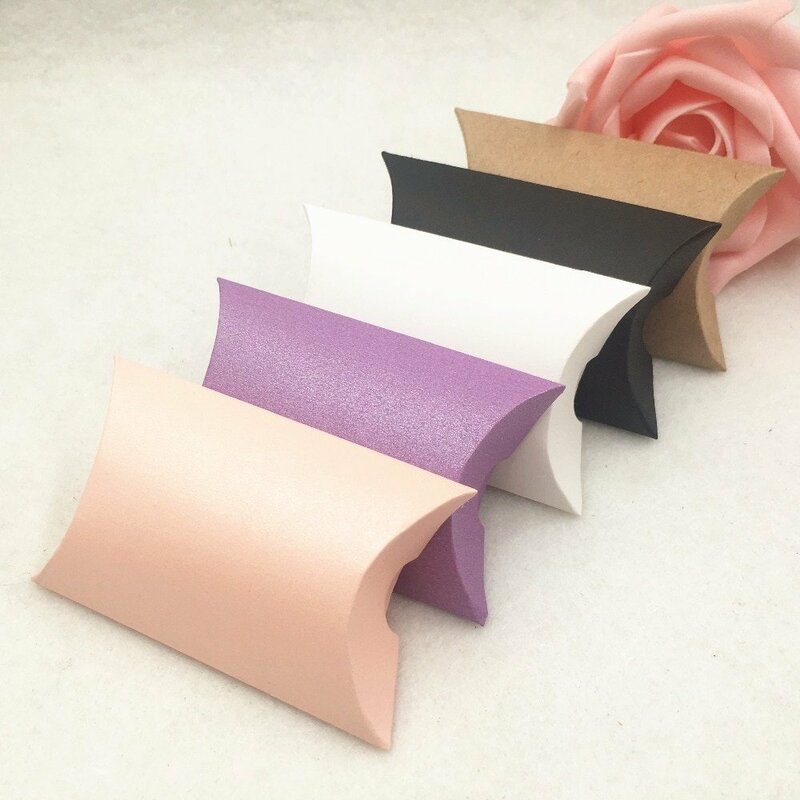 This entry was posted in Paper Packaging and tagged cardboard box, cardboard factory, cardboard packaging, paper box, paper box factory.